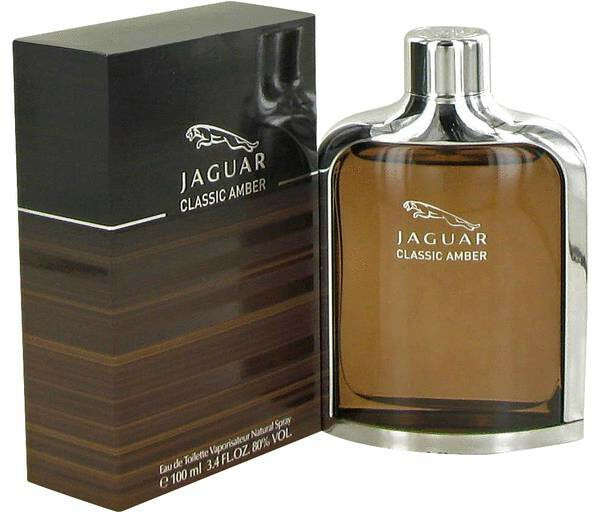 Jaguar Classic Amber Cologne by Jaguar, Become the regal, stately gentleman you’ve always wanted to be with Jaguar Classic Amber, a refined men’s fragrance. This mysterious cologne combines citrus, balsamic and spicy accords for a dignified and robust scent that’s perfect for any modern man of today. Top notes include sweet mandarin orange, tangy grapefruit, petitgrain and pink pepper for a zesty, energizing aroma that makes for a great early morning pick-me-up. Middle notes are African orange flower, black pepper, elemi resin and warm cinnamon for a taste of old-fashioned Oriental charm, further elevated by the presence of crisp green apple. Finally, base notes of Virginia cedar, vetiver, heady patchouli, French labdanum, creamy vanilla and white musk all lend their sensual characteristics, prepared to amplify the true star of the scent — fine, golden amber, complemented by masculine leather.